Another tea party is under way in North America. Millennials love tea, and Wall Street is banking that even more people will join the beverage revolution. Just how excited are investors? 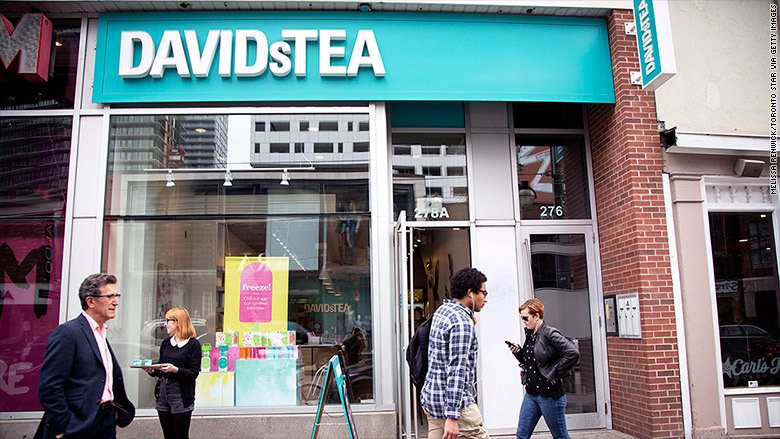 Canadian-company DavidsTea (DTEA) started trading on the Nasdaq stock exchange on Friday. The company's stock spiked over 40% to $27 a share. Founded in 2008, DavidsTea operates 136 stores in Canada and 25 in the U.S. Expect more stores to open soon. Hot beverage: While America is often considered a coffee obsessed nation, it's also a huge -- and growing -- market for tea. Americans consume over 200 million cups of tea a day, according to the Tea Association of America. Even more importantly, 87% of Millennials drink tea. 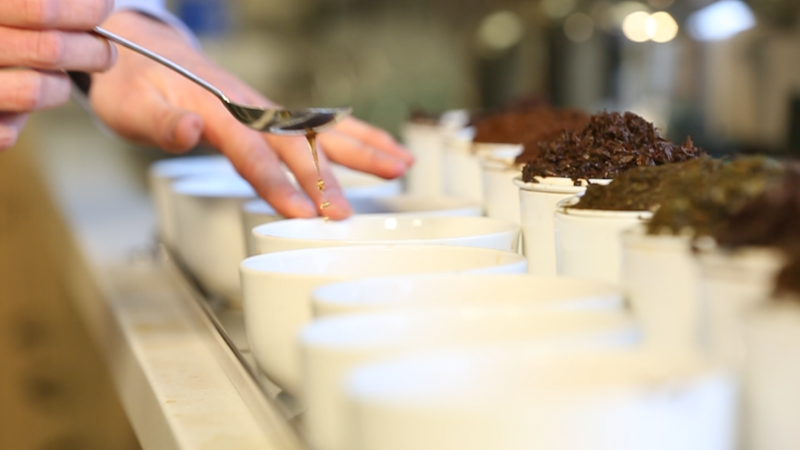 Starbucks (SBUX) has also jumped on the potential of tea. It acquired tea store chain Teavana in 2012 and sees tea as a lynchpin of its growth for the future in the U.S. and abroad. 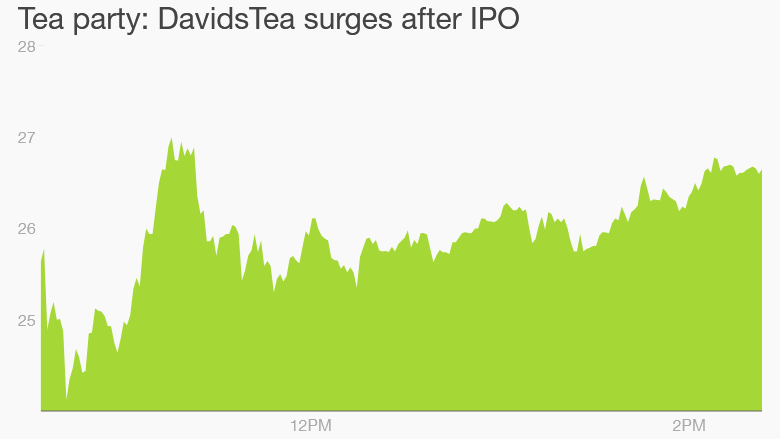 "It's a multi-occasion type of beverage," DavidsTea CEO Sylvain Toutant told CNNMoney. "We see people buying it for the evening because it's good to relax... On the other side, I take jumpy monkey every morning. It's a good kick start." DavidsTea has over 150 varieties. Toutant says customer favorites include pom tango, a fruity black tea, for the summer, and matcha matsu, a green tea that's popular with the health conscious crowd. The CEO carried around a tea called "the skinny" when he was doing the IPO roadshow on Wall Street. It was a hit. The company describes it as an "oolong tea made with pu'erh, ginger and ginseng that speeds up your metabolism and blocks fat absorption after a heavy meal."